Here are a few simple suggestions to make your backyard the go-to spot for summer barbecues that last late into the night. Summer time is almost here! The days are getting longer, the kids will soon be out of school, and everyone is looking for an excuse to spend more time outside. 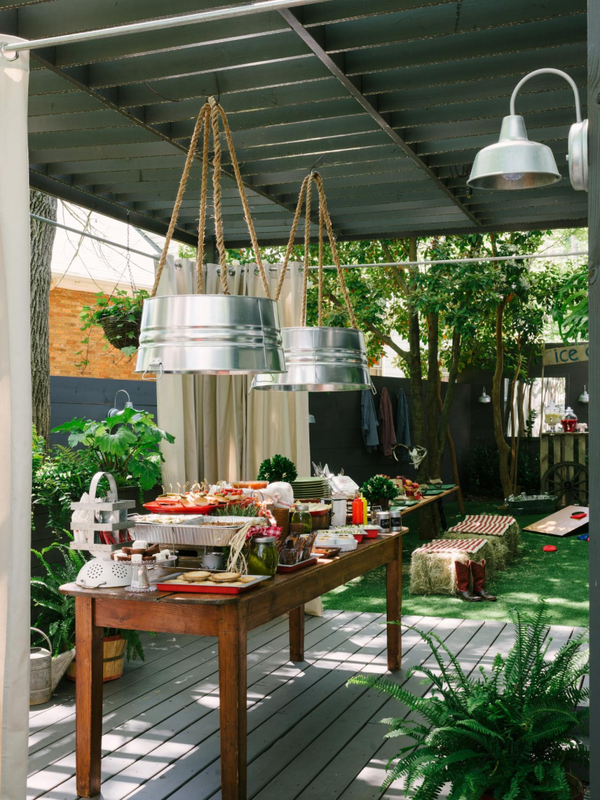 Turn your backyard into a space to gather with your friends and family to soak up the sunshine, enjoy great fresh food, and play like a you’re still a kid. We won’t judge you for running through the sprinklers! Make sure that your grass is freshly mowed and that any potential pests (think ants) are addressed. If you have pets, you’ll want to make sure that your lawn is free of animal waste, too. 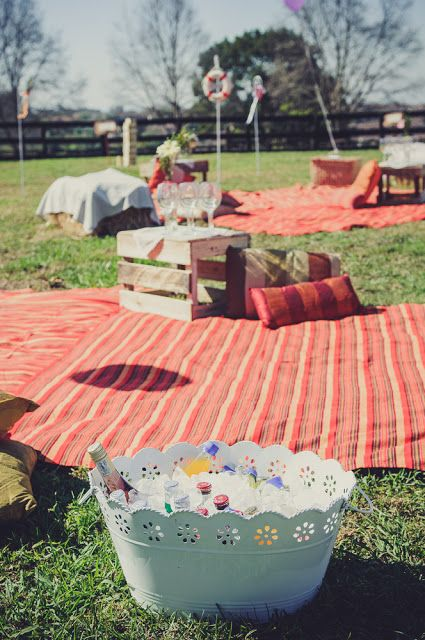 Create a space in which your guests feel comfortable to play lawn games or plop down to eat picnic style. Also take this time to wash down walkways and clean up your outdoor furniture. When you are having fun on a summer day, it’s not uncommon to look at your watch and realize it’s already 8pm. Don’t cut your party short. 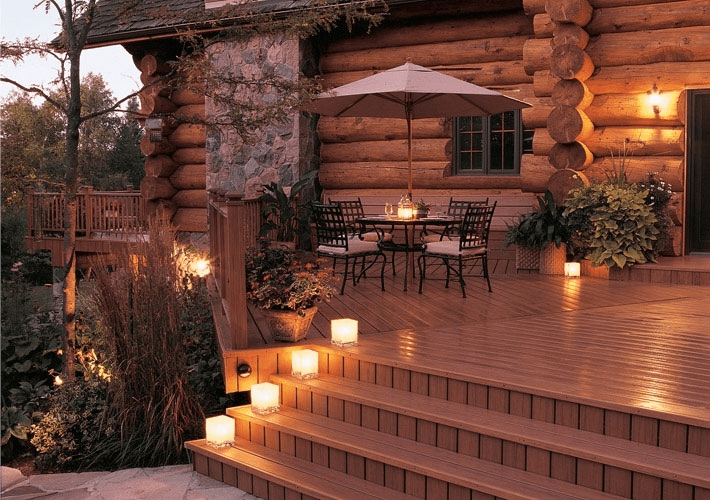 Instead, install simple festive lighting that will keep your party going well into the warm summer evening. You don’t want to pack up early and miss out on the fireflies and star gazing. Smaller lanterns also create beautiful light for your backyard. 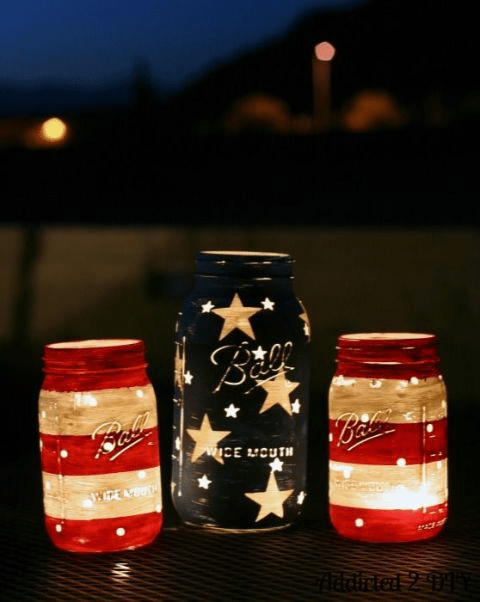 These lanterns, made from repurposed mason jars have been decorated for a 4th of July party. You can find a helpful tutorial on how to make your own patriotic lanterns here. Lawn games are fun for the whole family, especially because they’re one of the last outlets for adults to really play! 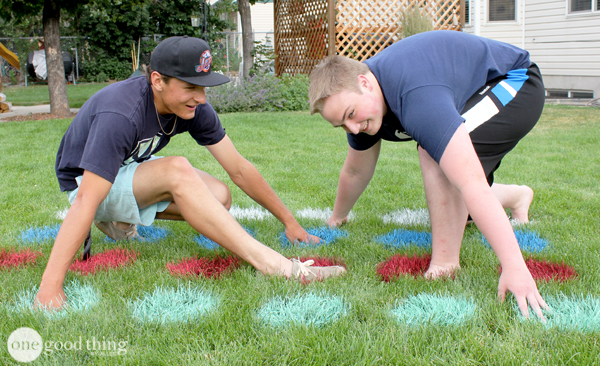 I love this DIY outdoor Twister board. If you use contractor’s marking spray paint, the spots will easily wash off of your lawn with your hose. 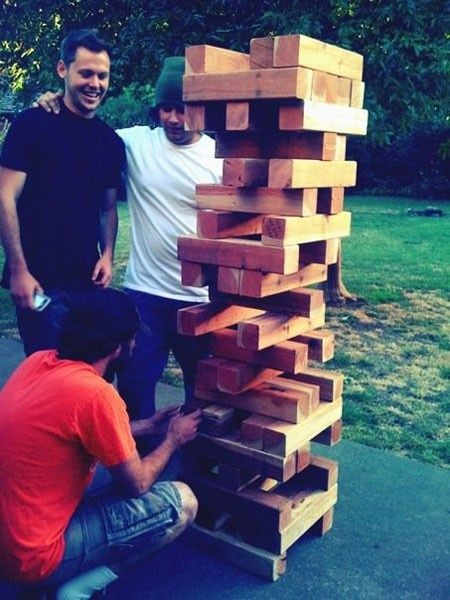 This giant Jenga allows so many more people to get in on the fun. Just stay clear of the tower when it tumbles! Here is a great tutorial to aid you in making your own giant jenga. How many times have you hosted a party where you’re so busy making sure that guests have drinks, condiments, or utensils that you never get to eat yourself? Make sure that you get to enjoy your own backyard gathering by setting up food and drink stations that enable guests to serve themselves. You may have to refill the stations a few times, but this system allows guests to nibble throughout the party at their leisure and allows you time to mix and mingle. 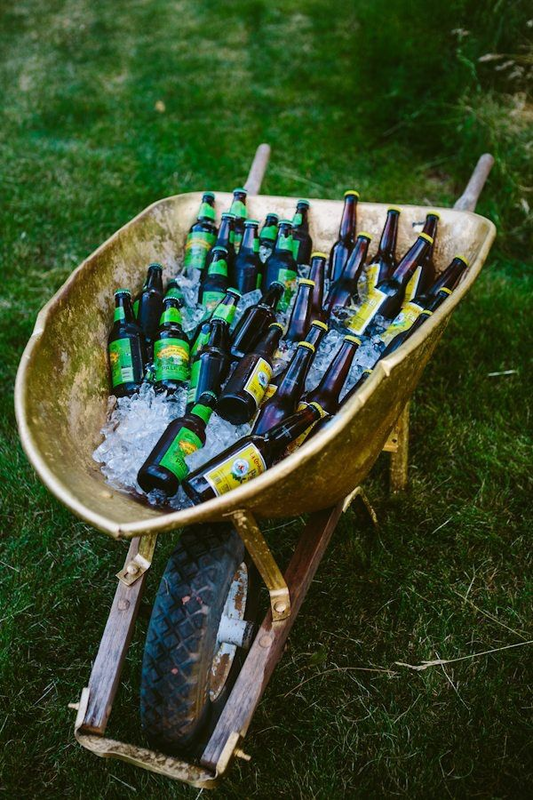 I love how this wheelbarrow has been re-purposed as a cooler. Drinks are easily on display for guests to grab as needed and as the host, you can quickly see when you need to restock. And Don’t Forget To Help Your Guests Stay Cool! Summer temperatures can be scorching, and especially tough on young children and elderly guests. Make sure that you have plenty of water available for guests as well as access to shade. If you don’t have a pool or a water feature, try offering these refreshing DIY spritzers to your guests. 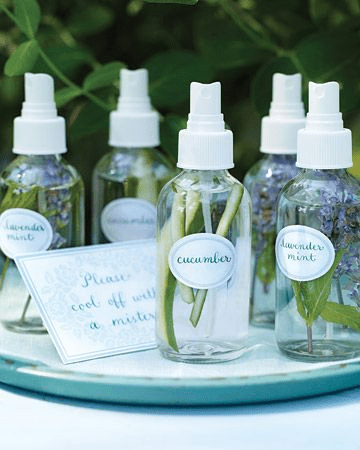 Simply fill spray bottles with water (I would keep them on ice) and sliced cucumbers, lavender, or mint. Cucumbers have wonderful hydrating properties and lavender and mint are also effective insect repellents. 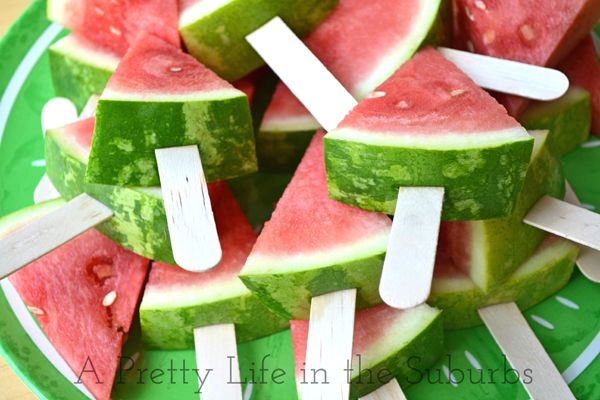 I love these watermelon “popsicles.” Watermelon is not only delicious but it’s packed with water and is nutrient-rich. They’re also a much healthier alternative to ice cream that parents of young kids will appreciate, and you don’t have to worry about keeping them frozen on a hot day! I hope you have found some inspiration for your backyard barbecue. The summer will be over before we know it, so get outside and start making memories!